Three Cedars Press, 9780987923653, 324pp. When John Granville commits to finding young Rupert Weston, he faces treachery on a scale he never imagined. Hired to find a Remittance Man who is suddenly heir to an Earldom, Granville quickly learns the fellow hasn't been seen in months. He can't trust his client. He can't trust the facts he's been given. Digging deeper, Granville uncovers unsettling questions. Has the man taken his own life? Or is there something more sinister at play? And then the shooting starts. Racing to save Weston puts Granville's honor and his very life at stake. Will he be in time? 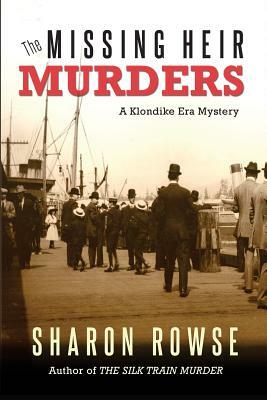 This is the third book in the Klondike Era Mystery series, though they can be read in any order.